Yes, I know that there hasn’t been a great deal in the way of exciting thermal label printer news of late. Our friends at Sato however, have been putting together an interesting on-line campaign for a new machine – the Sato CL4NX Label Printer, which is now revealed. The new printer is certainly an advance over the traditional Sato line up and looks to have some nice new features. At first glance, the CL4NX is certainly more modern looking than previous Sato designs and looks the part with its bright colour display – I was expecting a touch screen but this isn’t the case, Sato has gone with the traditional soft key approach. The display looks to be very high quality and can play tutorial videos for the various machine functions. Just to show what an international product the CL4NX is, the display can handle 30 languages and the printer can print in 47. The label path is redesigned, the printhead mechanism opens wider than before to allow easy threading and maintenance (both the printhead and platen roller can be replaced without the need for any tools) and Sato claims that the CL4NX has precise label indexing for jobs with tight tolerances. There is also an improved way to adjust the printhead pressure for different jobs – a rather neglected part of many printer designs. It is great that Sato has elected to supply the CL4NX with a full set of connectivity ports. Thank goodness it won’t be necessary to have to decide in advance which port to include. Also to make the new system more flexible, Intermec, Datamax and Zebra emulation is included. You can get your shiny new Sato CL4NX in 203, 300 and 600 DPI resolutions so it is good for just about every label printing job. Sato came up with some crazy teaser videos and now have a pretty wild version showing details of the new printer – check it out! I’m liking the looks of the latest generation of thermal printers, Intermec’s PM43, Datamax Performance Series and now the Sato CL4NX. I wonder how much more this concept can be refined before someone takes a big leap into the future? 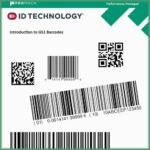 Want to improve your labeling or product identification? We have years of experience in label printing and application and would love to help! Thanks for this article on SATO’s recent upgrades. How exactly do you adjust the printhead pressure on this newer model? Chris, there are a couple of dials for adjusting the printhead pressure. If you check out Section 5.6 in the manual, you’ll see how it works.